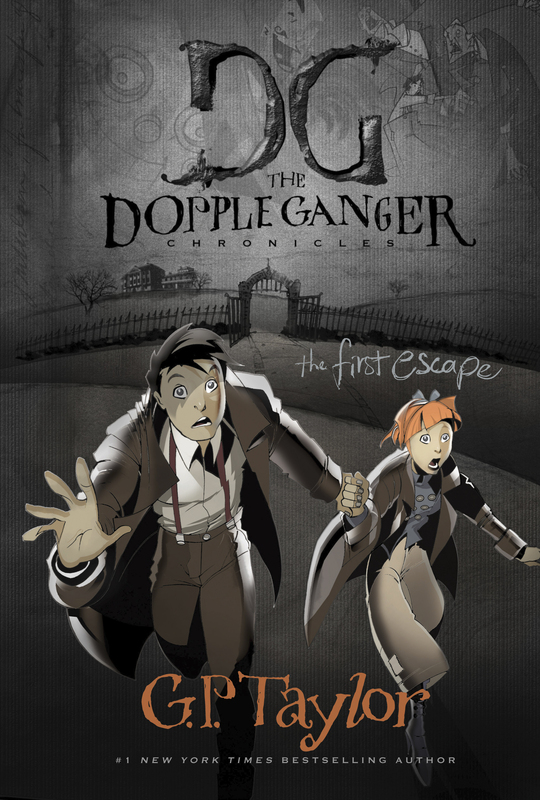 The First Escape is the first of Taylor’s Dopple Ganger Chronicles. The book stars three young orphans: two girls, namely Sadie and Saskia Dopple, as well as their male accomplice Erik Ganger. The trio starts out at Isambard Dunstan’s School for Wayward Children, but early on in the story, Saskia is adopted by an eccentric old woman, Muzz Eliot, who decides that her sister Sadie doesn’t have teeth that merit adoption, so the twins are parted. Erik and Sadie battle Isambard Dunstan’s staff, the police, and a mad magician complete with an arsenal of exploding chickens in their quest to find Saskia. Meanwhile, Saskia stumbles upon a mystery that may result in her own murder. Overall, The First Escape reads like a great piece of Victorian fiction; think Charles Dickens or Emily Bronte. There are elements of the supernatural strewn throughout the story, as well as action/adventure and mystery. While it took a while for me to get invested in the story, by about the middle of the book, I couldn’t put it down. One of the characters is an angel, and there are some broad hints at God as well. I can see future story lines developing this part of the series quite well. Story aside though, what is amazing about this book is its use of the illustronovella genre. Part novel and part graphic novel, The First Escape, nearly seamlessly combines comic-book graphics, poster art, and full text to create an original reading experience unlike anything I have encountered before. The comic sections aren’t amazing; they are reminiscent of Nickelodeon’s cheap, blocky animation, but combined with the poster art and the full text, they really add something spectacular to the story. All in all I would definitely recommend the book for a good story and an engaging use of art in the telling of it. A review copy was provided by the publisher. All opinions are my own.